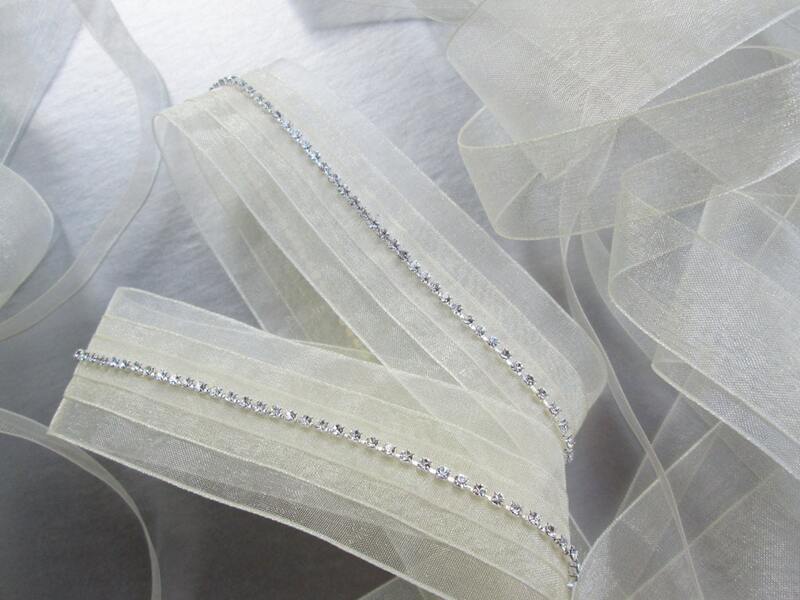 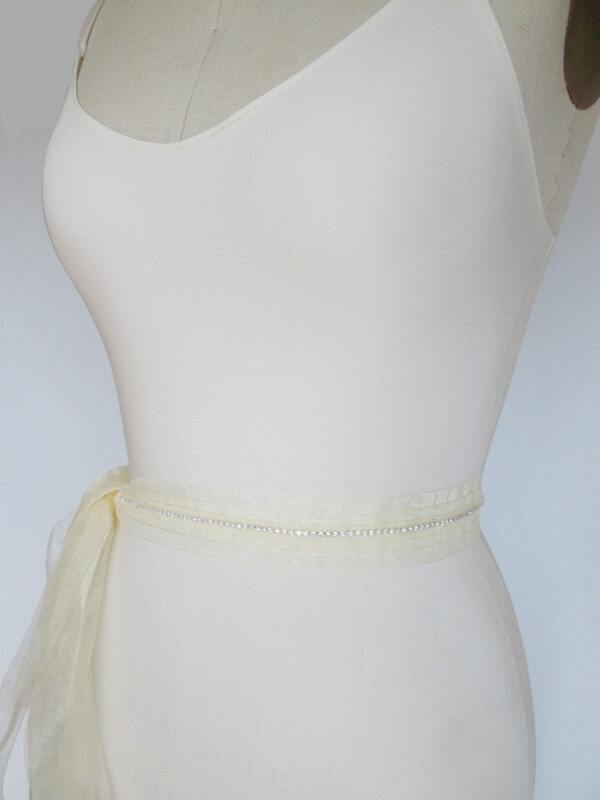 This airy sash is made with a triple layer of organza ribbons and is finished with a single row of petite Swarovski crystals set in silver settings. 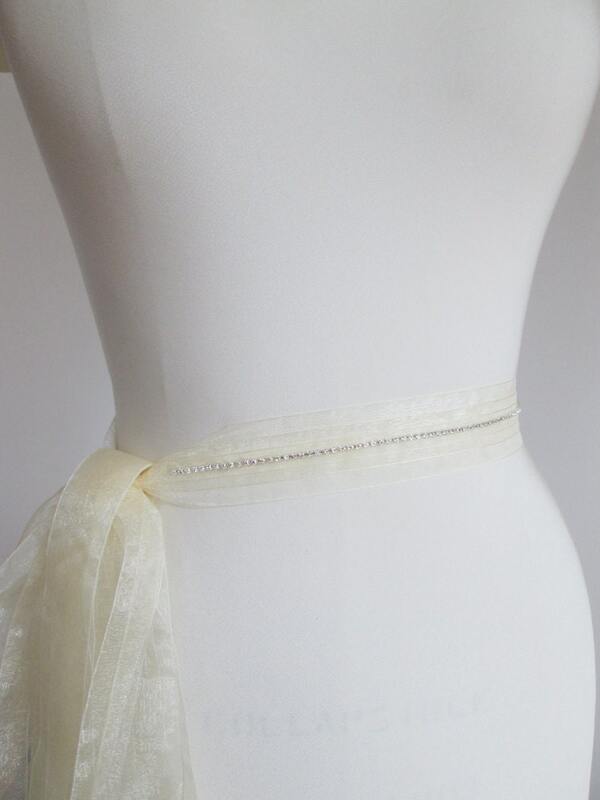 This sash measures 1 1/2" wide and 150" long. 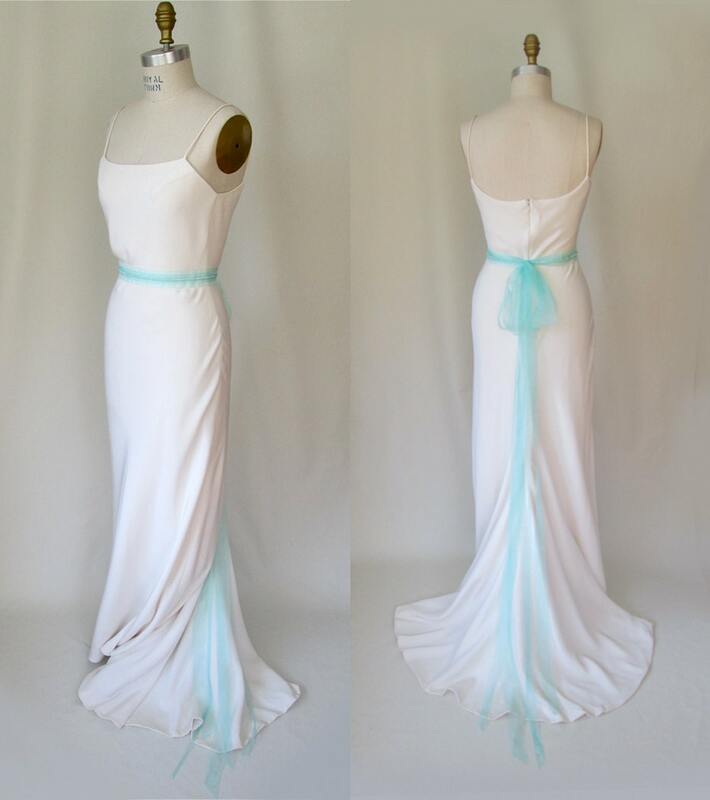 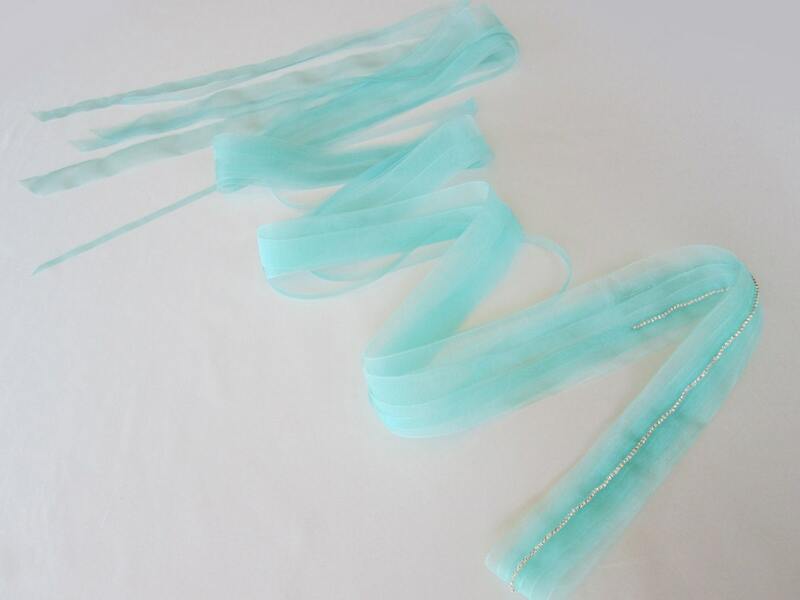 Available in aqua, ivory or white organza ribbon.